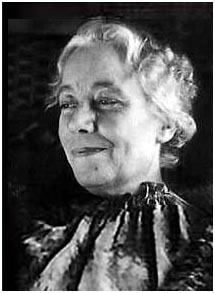 Karen Horney (16 September 1885 – 4 December 1952) was a German-born U.S. psychoanalyst. [The neurotic] feels caught in a cellar with many doors, and whichever door he opens leads only into new darkness. And all the time he knows that others are walking outside in sunshine. I do not believe that one can understand any severe neurosis without recognizing the paralyzing hopelessness which it contains. … It may be difficult then to see that behind all the odd vanities, demands, hostilities, there is a human being who suffers, who feels forever excluded from all that makes life desirable, who knows that even if he gets what he wants he cannot enjoy it. When one recognizes the existence of all this hopelessness it should not be difficult to understand what appears to be an excessive aggressiveness or even meanness, unexplainable by the particular situation. A person so shut out from every possibility of happiness would have to be a veritable angel if he did not feel hatred toward a world he cannot belong to. Taking again as an example the need to appear perfect, I would be interested primarily in understanding what this trend accomplishes for the individual (eliminating conflicts with others and making him feel superior to others), and also what consequences the trend has on his character and his life. The latter investigation would make it possible to understand, for example, how such a person anxiously conforms with expectations and standards to the extent of becoming a mere automaton, and yet subversively defies them; how this double play results in listlessness and inertia; how he is proud of his apparent independence, yet actually is entirely dependent on the expectations and opinions of others; how he is terrified lest anyone should discover the flimsiness of his moral strivings and the duplicity which has pervaded his life; how this in turn has made him seclusive and hypersensitive to criticism. It is amazing how obtuse otherwise intelligent patients can become when it is a matter of seeing the inevitability of cause and effect in psychic matters. I am thinking of rather self-evident connections such as these: if we want to achieve something, we must put in work; if we want to become independent, we must strive toward assuming responsibility for ourselves. Or: so long as we are arrogant, we will be vulnerable. Or: so long as we do not love ourselves, we cannot possibly believe that others love us, and must by necessity be suspicious toward any assertion of love. Patients presented with such sequences of cause and effect may start to argue, to become befogged or evasive. This page was last edited on 5 September 2018, at 17:08.